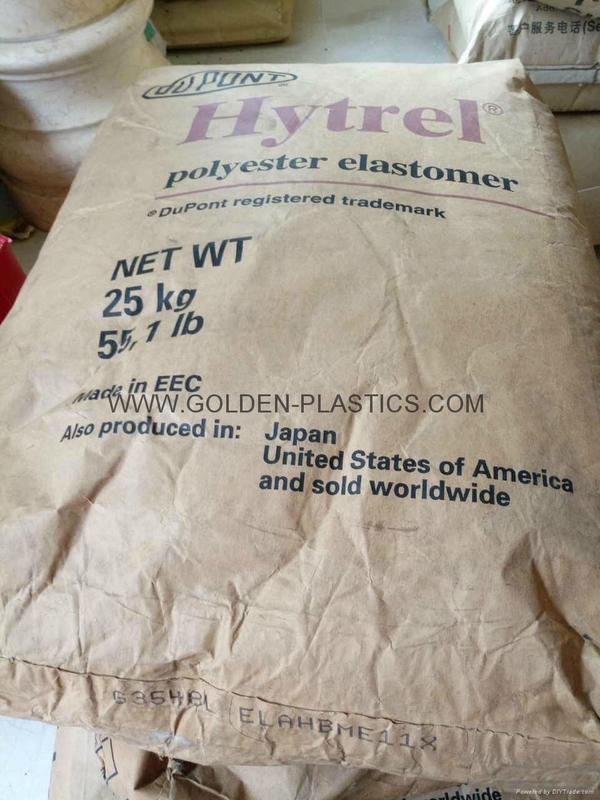 DuPont Hytrel thermoplastic polyester elastomers . 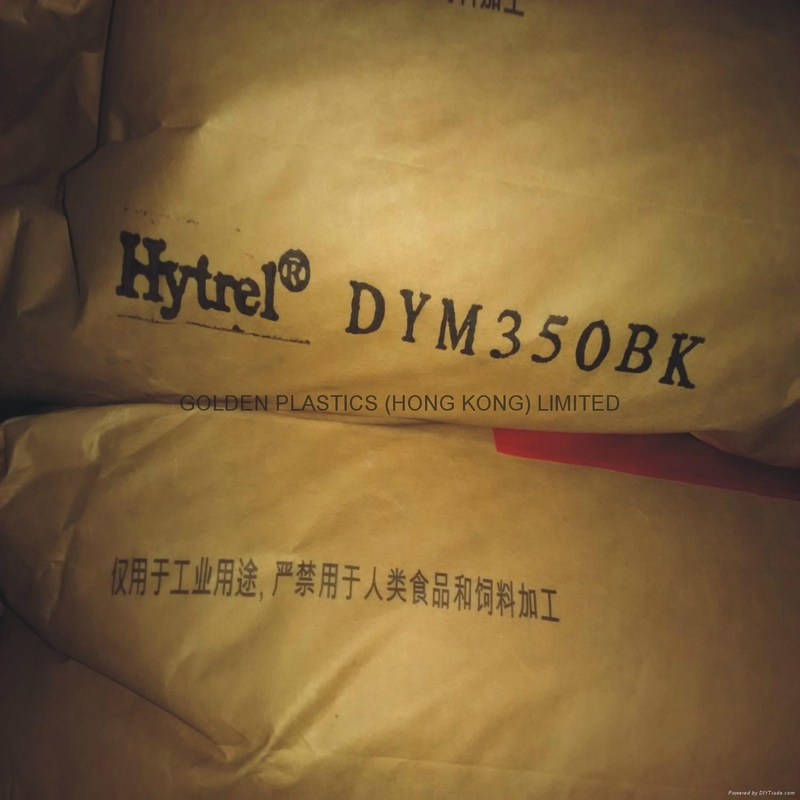 the strength of plastics, and the processibility of thermoplastics.Hytrel is also available in a full range of Shore D hardnesses (30D to 82D). 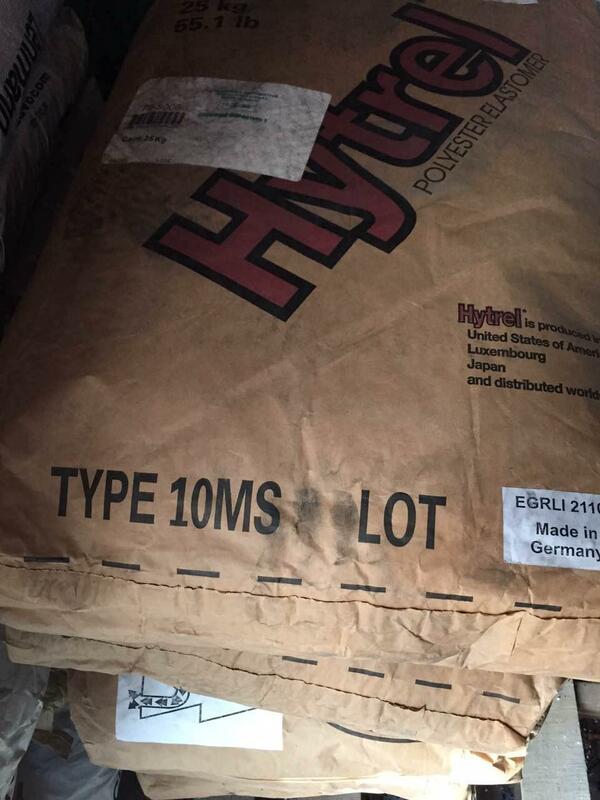 Special grades include heat stabilized, flame retardant and blow molding. Concentrates include black pigments, UV protection additives, hydrolysis resistant additives, heat stabilizers and flame retardants. 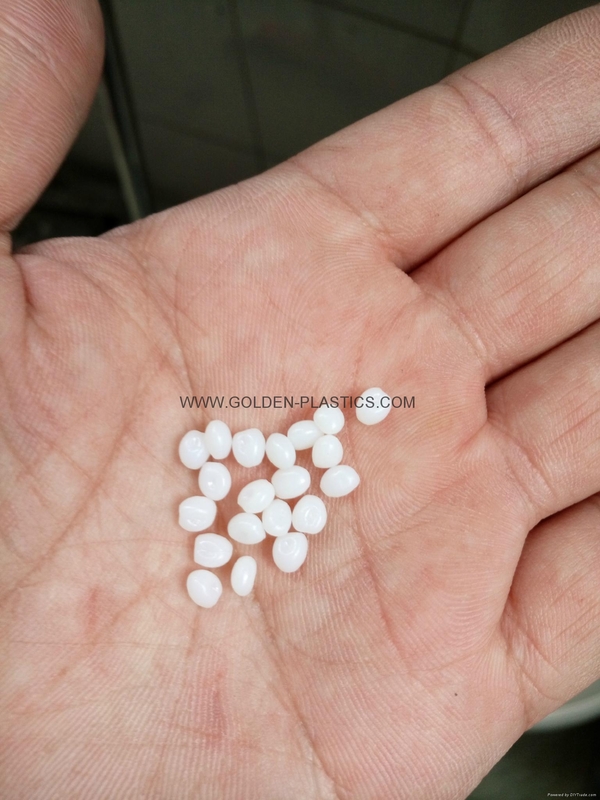 Shore 35D, containing non-discoloring stabilizer, plasticiser free resin for injection molding and extrusion; with low temperature impact resistance as well as excellent mechanical properties. Shore 40D, heat stable, plasticiser free resin for injection molding and extrusion. It has low temperature impact resistance as well as excellent mechanical properties. Contains a discoloring antioxidant. Not suited for light-colored finished products. 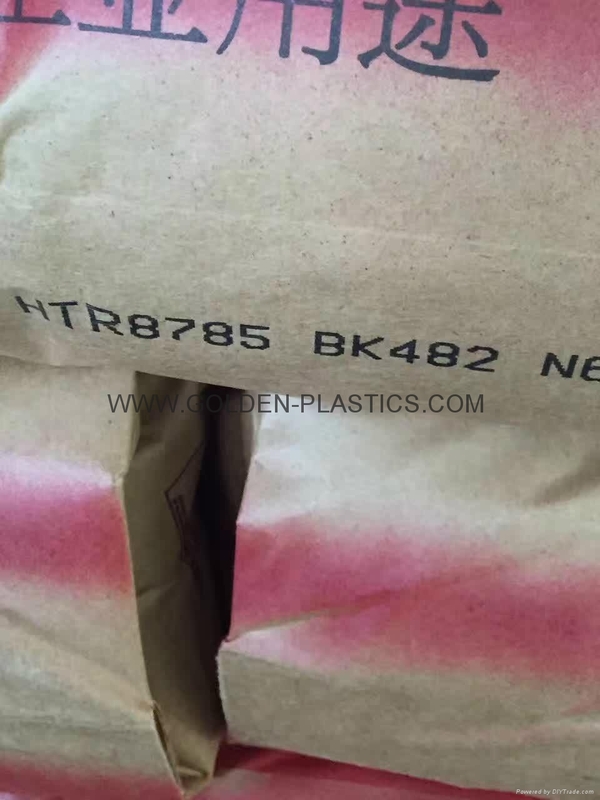 Shore 47D, heat stable, plasticiser free resin for injection molding and extrusion. It has low temperature impact resistance as well as excellent mechanical properties and good hydrocarbon resistance. Contains a discoloring antioxidant. Not suited for light-colored finished products. 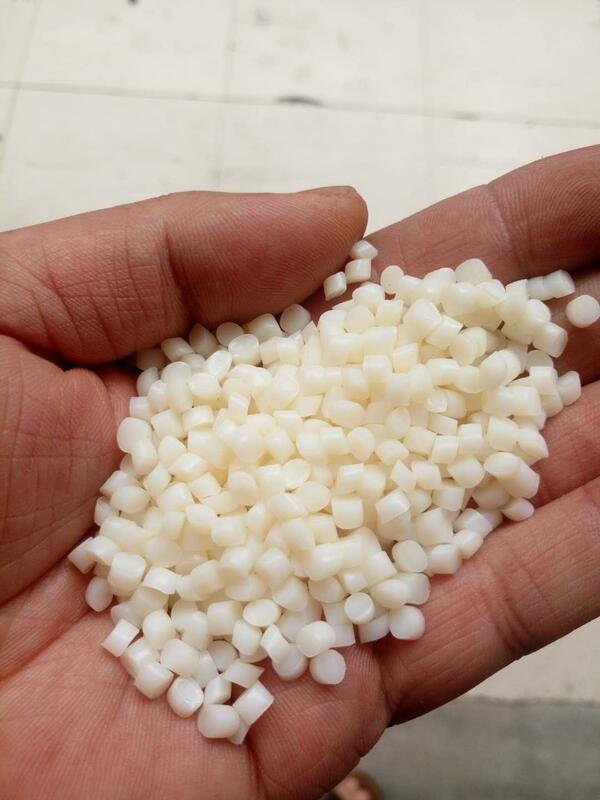 Shore 55D, heat stable, plasticiser free resin for injection moulding and extrusion. It has low temperature impact resistance as well as excellent mechanical properties and good hydrocarbon resistance. Contains a discoloring antioxidant. Not suited for light-colored finished products. 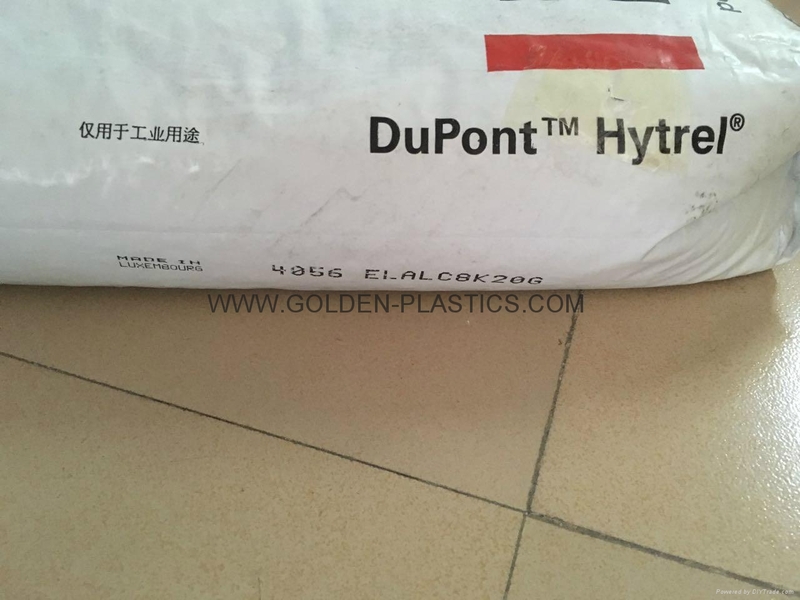 Heat Stabilized,High Viscosity,Ozone Resistant,UV Stabilized,60 Shore D, Heat Stabilized, High Viscosity Polyester Elastomer with Ozone Resistance Developed for Extrusion. TPC-GF, 63 Shore D, Glass Reinforced, High Performance Polyester Elastomer. 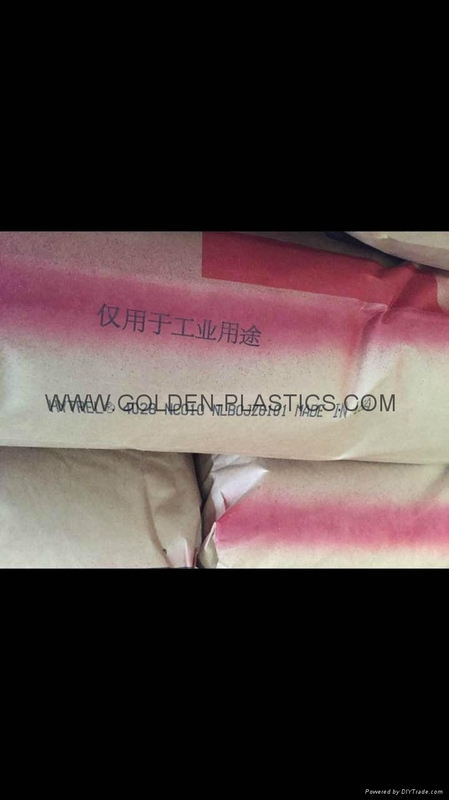 Shore 61D, non-discoloring stabilizer, low melting, plasticiser free specialty resin for extrusion; high viscosity; good impact and fatigue resistance; excellent barrier properties. 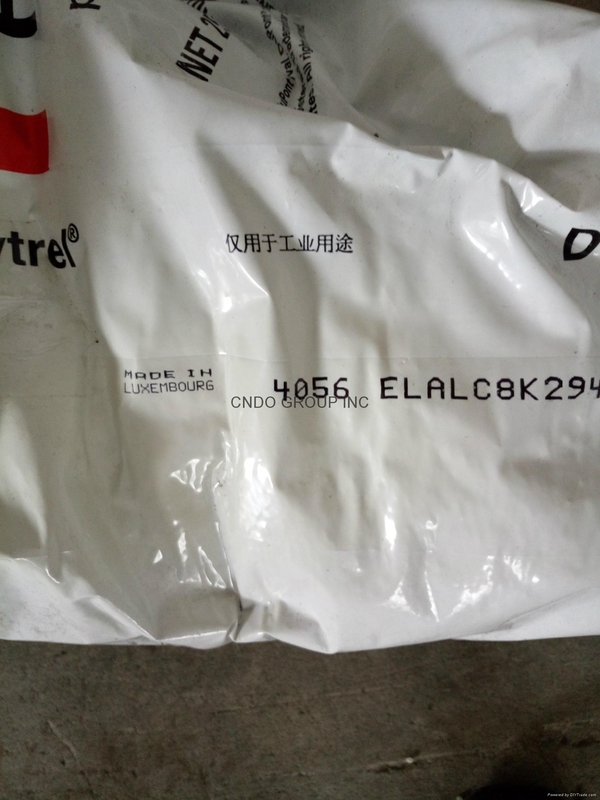 Shore 80D, flame retardant, non discoloring stabilizer, plasticiser free specialty resin for injection molding and extrusion; UL94V-0 @ 1.5mm, antidrip. 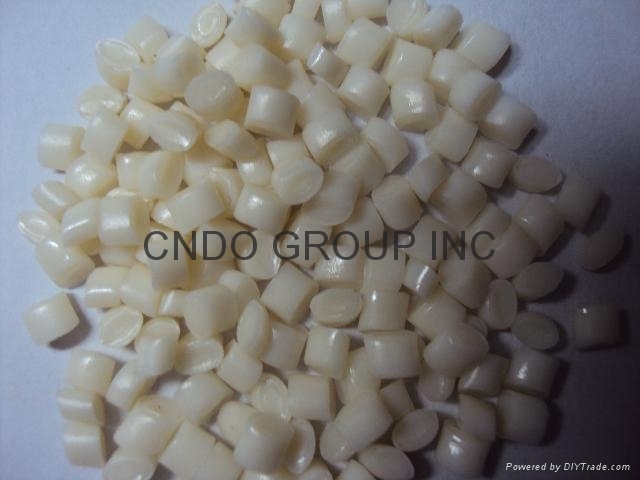 Shore 44D, heat stable, plasticiser free high performance resin for blow molding and extrusion; high viscosity/melt strength; excellent mechanical properties at elevated temperatures and fatigue resistance; for CVJ boots. Shore 40D, heat stable, plasticiser free resin for blow molding and extrusion; high viscosity/melt strength; excellent mechanical properties at elevated temps; superior fatigue, abrasion, and grease resistance; CVJ boots. 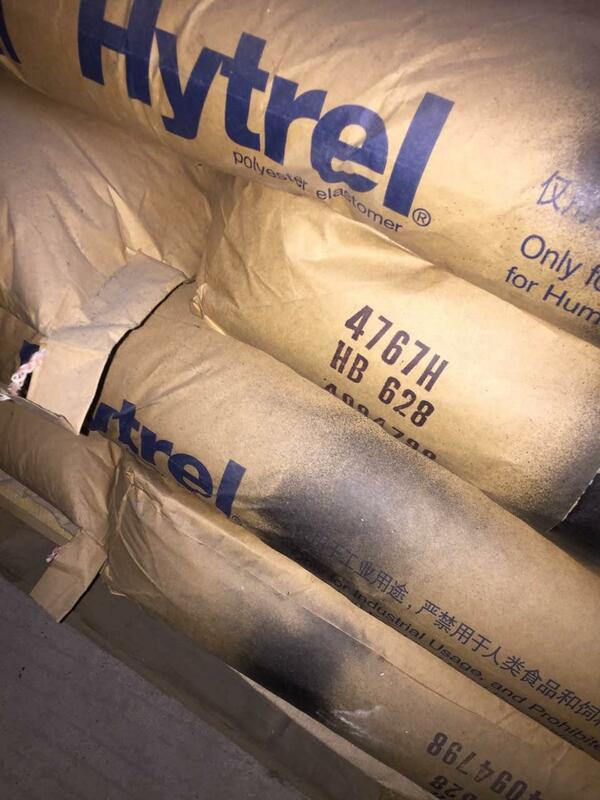 Shore 62D, heat stabilised,plasticiser free high performance resin for extrusion,low temperature impact,excellent heat ageing,fatigue and crack propagation resistance,for air break tubes. 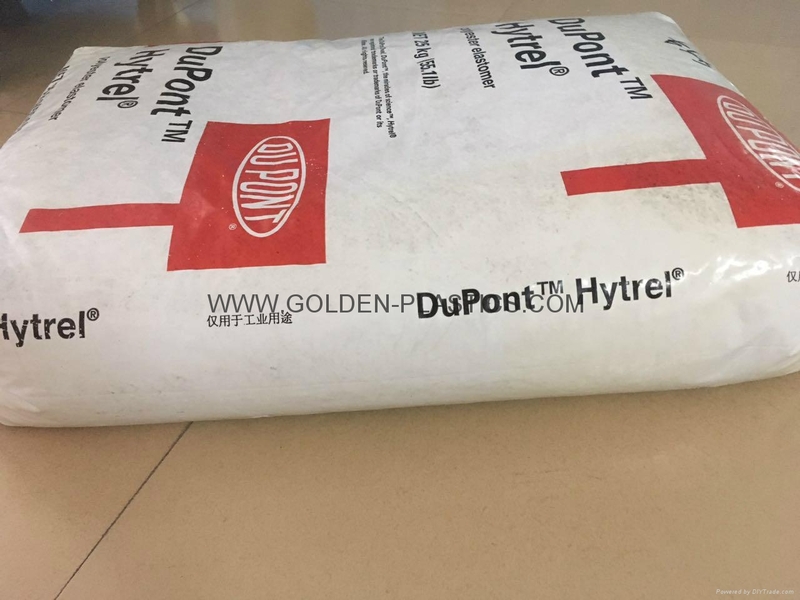 Medium modulus polyester elastomer with excellent impact resistance developed for Air bag door applications,UV stabilizer. 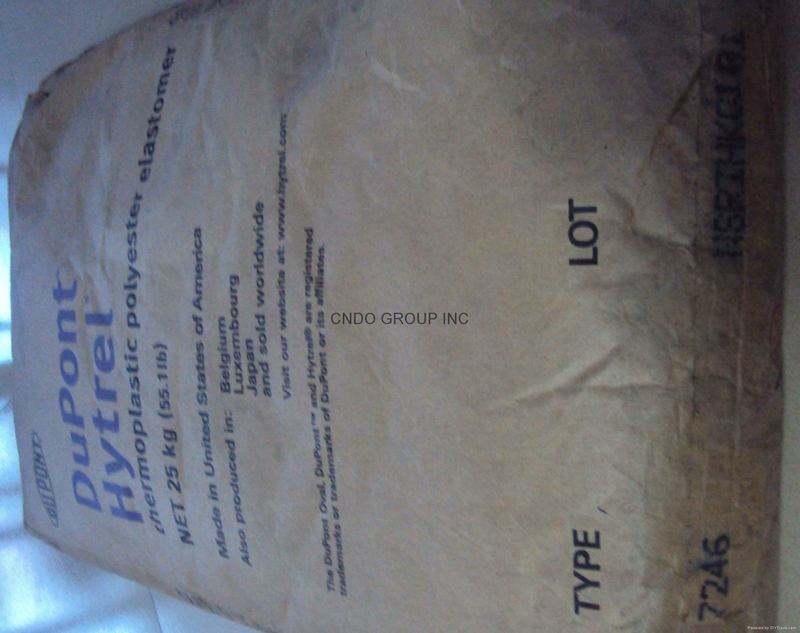 Hydrolytic stabilizer concentrate for blending with other grades of Hytrel to improve serviceability in hot,moist environments.recommended let-down ratio is 9:1. Heat stabilizer MB, add~5%,contains a discolouring antioxidant. It is not suited for light-colored finished products. 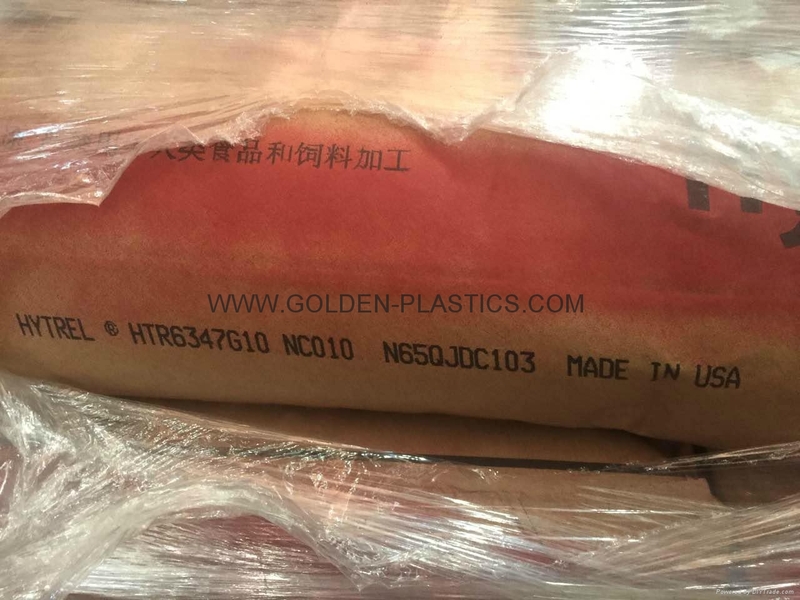 Shore 30D, non discoloring stabilizer, plasticiser free specialty resin for conventional thermoplastic techniques like molding, melt casting and extrusion; outstanding impact resistance down to -40°C. 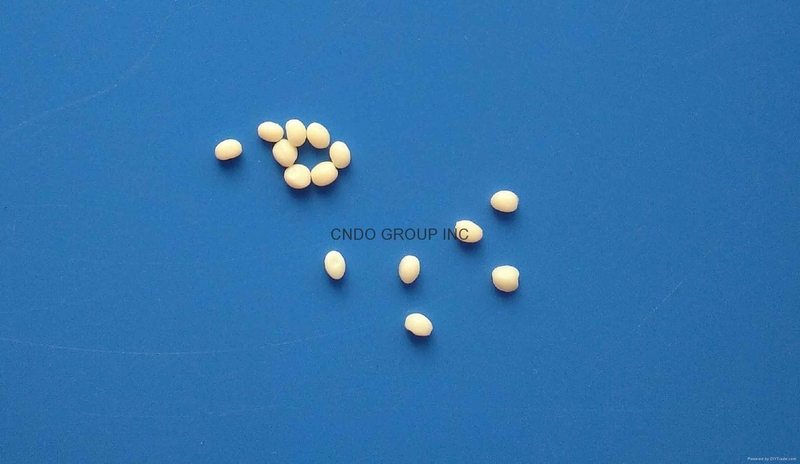 Shore 40D, containing non-discoloring stabilizer, low melting, plasticiser free, high performance resin for extrusion and compounding; with high impact resistance down to -40°C as well as excellent mechanical properties. Shore 45D, containing non-discoloring stabilizer, plasticiser free, high performance resin for injection molding and extrusion; with outstanding impact resistance down to -40°C and consistent mechanical properties between -40°C and 110°C. Shore 55D, containing non-discoloring stabilizer, plasticiser free, high performance resin for injection molding; high flow, good impact resistance down to -40°C as well as mechanical properties up to 120°C. Shore 55D, heat stabilised, plasticiser free specialty resin for injection molding and extrusion; good impact resistance down to -40°C as well as mechanical properties up to 135°C. Contains a discoloring antioxidant. Not suited for light-colored finished products. hardness of 55D. 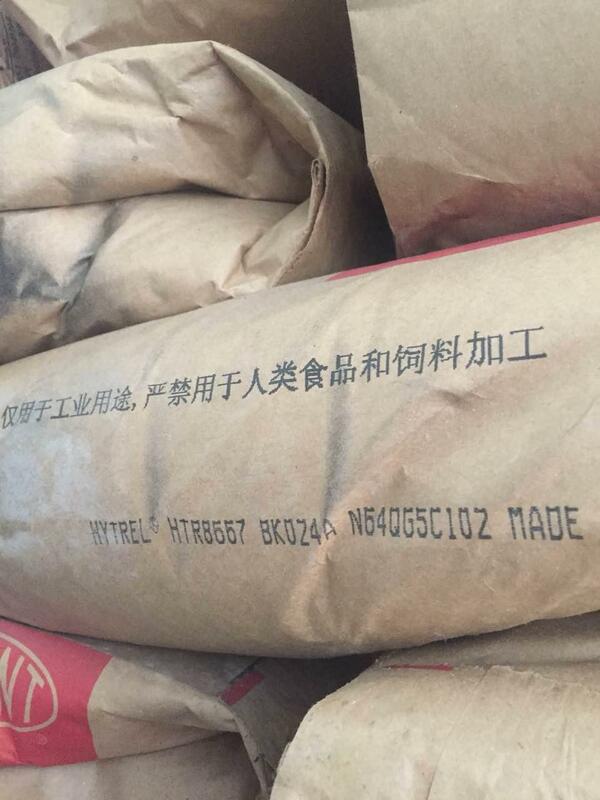 It contains non-discoloring stabilizer. 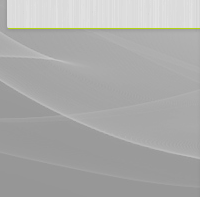 It can be processed by many conventional thermoplastic processing techniques like injection molding and extrusion. stopped making the grade no. 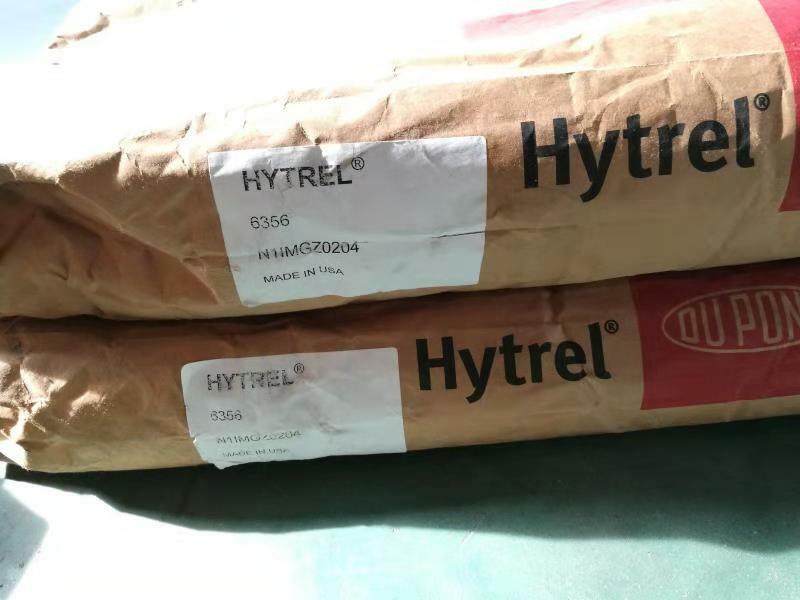 Hytrel G3548L from Sept 2013. 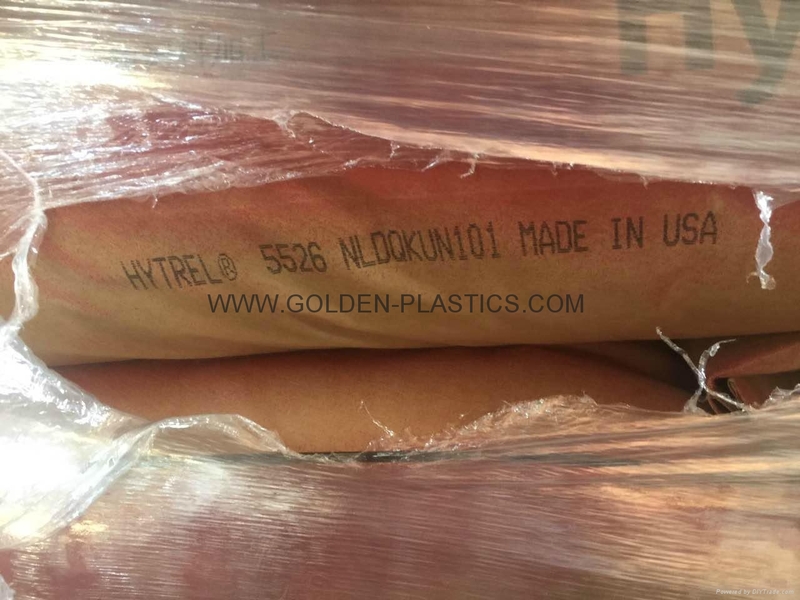 Our new ordered grade is Hytrel G3548 NC010. your local DuPont sales representative. 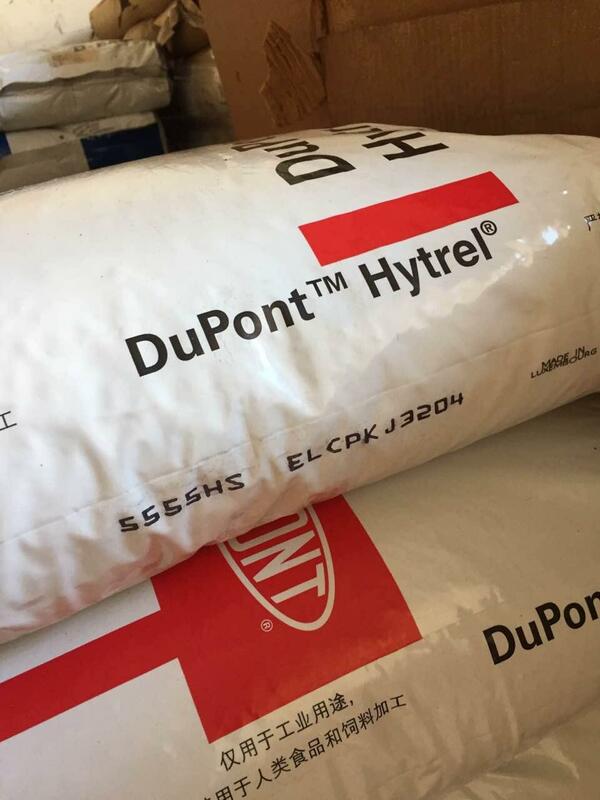 Thanks you and look forward to you continued support of DuPont.